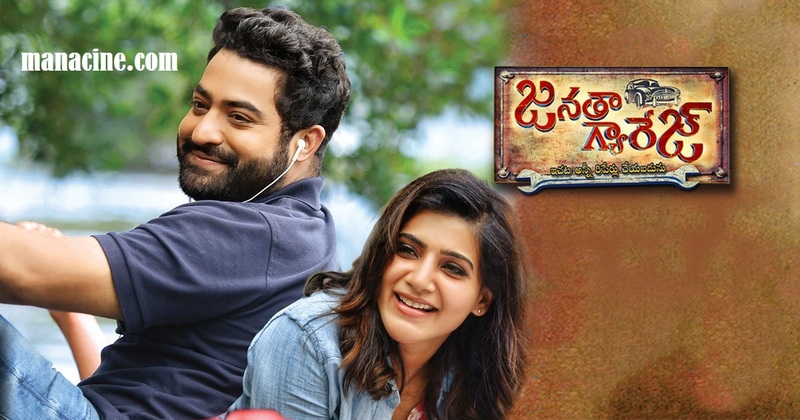 The wait is finally over as NTR’s much-awaited film, Janatha Garage has hit the screens all over today. Let’s see whether Koratala Shiva gets his hattrick hit or not. Satyam(Mohan Lal) keeps helping the needy under the name of Janatha Garage. On the other hand, Anand(NTR) is a nature lover who goes to any extent to prevent the environment. One fine day, Anand accidentally gets into a scuffle with Satyam and his Janatha Gang members. During this entire episode, Satyam likes Anand’s sincere approach and requests him to leave everything behind and join him in his fight to save the poor. Why did Satyam choose Anand for this job ? Will Anand join Janatha Garage ? That forms the rest of the story. Mohan Lal is the backbone of the entire film. It is his character that gives the film a lot of weight. The legendary actor is awesome in his role and emotes supremely well throughout the film. Credit should go to Koratala Shiva for showcasing him in such a meaningful role. Even though fans might miss NTR the star, you can see a complete new Tarak. The young actor sheds his star image and stays true to his character. The way he goes about his role and transforms himself during the second half is awesome. The first fifteen minutes of the second half are quite racy. Some intense scenes between Mohan Lal and NTR elevate the film nicely. Kajal’s item number will impress the masses. The main villain, Sachin Khedekar does a decent job in his role. Heroine’s Samantha and Nithya Menen have absolutely nothing to do and have been wasted completely. They are hardly present and come only for the songs. Yet another major drawback is the slow pace of the film. Koratala Shiva takes too much time to establish the simple story line. The way he has dealt with the hero’s character also lacks clarity. 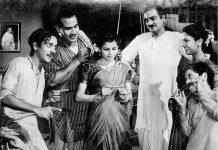 The climax of the film is outdated and has been stretched to no extent. Too many character artists have been wasted in minor roles. The first half of the film is quite dull and does not have much going its way. 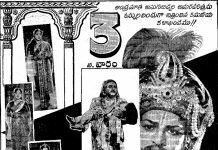 The writing is also water thin and even a star like NTR could not save the film in many places. Music by Devi Sri Prasad is a huge plus as all the songs have been composed quite well. Devi’s background score in the second half elevates the proceedings to a decent level. Production values of the film are pretty good. Camera work is superb as Hyderabad and Mumbai have been showcased in a wonderful light. Dialogues written by Koratala Shiva are meaningful. Editing is below average as the film needs to be trimmed by at least 15 minutes. 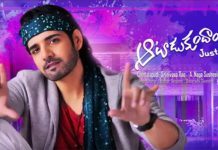 Coming to the director Koratala Shiva, he has done just an okay job with the film. Though his thought is good, he takes too much time to establish the story as the film catches steam only after the first half. He makes things predictable and ends the film on a simple note. On the whole, Janatha Garage is not your regular popcorn entertainer which Tollywood churns out every week. It is a character-driven film where the onus is on serious emotions. 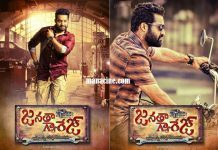 Though NTR performs brilliantly, Mohan Lal gets a prominent role and this might not go well with NTR’s fans. The film will appeal to the general audience more than the fans. Finally, if you ignore the predictable story line, you may give this film a shot.